The 2017 Cannes Lions festival earned revenues of £62.9m ($82m) for its owner Ascential, despite "slightly reduced" award entry and delegate numbers, the company's half-year results say. Ascential Group yesterday published its interim results for the six months to 30 June, which show revenue from continuing operations of £222m, up from £176.2m the year before. The £62.9m earned by Cannes, equalling more than a quarter of Ascential's total income, rose seven per cent on an organic, constant currency basis against 2016. "This revenue growth was achieved despite slightly reduced volumes of award entries and delegates reflecting the reduced participation by certain major agency customers, which was offset by growth in revenues from new participants such as technology companies and new media platforms as well as the increased sale of premium packages and value-added services," the report said. More than 10,000 paying delegates attended Cannes in 2017, it said. In recent years, the organisers have reported that the festival attracts 12,000 attendees. The festival had reported 43,101 entries for 2016, a rise of seven per cent year on year, but for 2017 this number dropped back to 41,170. 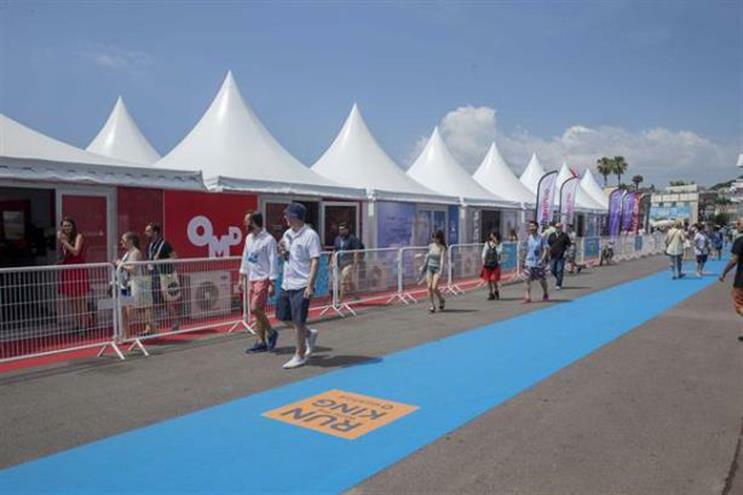 The principal revenue streams for the Cannes Lions are delegate passes (42 per cent) and award submissions (41 per cent) followed by partnerships and digital (15 per cent), with the final two per cent coming from hotel room booking commissions. Of the award entry figures, the report said: "Award entry numbers for individual Lions categories can vary year on year but the broad trends remain unchanged with the vast majority of the small year on year decline from the challenged categories of print and outdoor." Ascential, which went through an IPO in 2016, also said: "Going forward we are encouraged by the participation of major advertisers, partners, agency networks and the Mayor of Cannes in a newly formed advisory committee created to help shape the future of the festival and ensure it continues reflects opportunities and needs in the creative industry." The 2017 Lions festival ended with questions over the festival's relevance, in part prompted by Publicis' announcement that it would not be taking part next year. This led to the organisers forming a committee to "help shape the future of the festival".